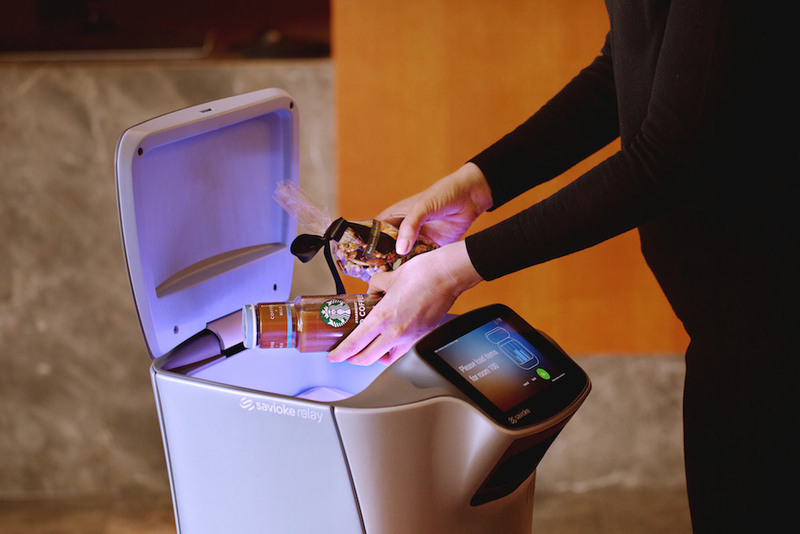 A room-service robot called Relay is wowing hotel guests to such an extent that they’re ordering stuff just to have an encounter with the autonomous helper. The robot has been garnering plenty of interest beyond guests, too, with creator Savioke last month scoring $15 million from backers in its latest round of funding. Relay is currently operating in 12 hotels across the U.S., the LA Times reported Sunday, helping to transport a variety of items to guests when called. For front desk staff, Relay is a breeze to operate. When a guest calls for a toothbrush, towel, or some similar item, all they do is place it in the enclosed compartment at the top of the robot, tap in the room number, and hit “go.” Three-foot-tall Relay uses Wi-Fi and on-board cameras and sensors to find its way around corners and along corridors. It also calls the elevator wirelessly and, importantly, automatically alerts the guest once it arrives outside the room. Guest and bot can also enjoy a short interaction, though Relay’s lack of human-like features means its performance, for the time being at least, is a little on the basic side. Indeed, communication involves tapping out messages on Relay’s attached display rather than anything more sophisticated – perhaps it could take a lesson or two from Pepper on that front. Pleasantries exchanged, the robot trundles back to its charging station to wait for its next call. Tom Beedon, manager of a Residence Inn on Century Boulevard in LA, said his Relay robot, which staff have nicknamed Wally, received a recent upgrade so it can now also deliver Starbucks coffees, though toothpaste runs appear to be the bot’s main function. Some guests, it seems, are ordering items just so they can meet Wally and post pictures of him on social media. And no, it doesn’t take tips. Beedon insists there’s no danger of Wally replacing human workers at his hotel. Instead, the robot actually gives staff more time to take on trickier tasks and chores around the site. But while Relay may well be charming guests at an increasing number of hotels, the bot-based experience pales in comparison with what you can expect at the Henna Hotel (“Weird Hotel”) in Japan, which is staffed by robots and robots only.